Who doesn’t desire longer, fuller lashes? A gorgeous lash line is a perfect addition to every look, unfortunately, you don’t always want to rely on fake lashes every day to get the longer eyelashes you desire. Luckily, you don’t have to. There are numerous tips you can follow to achieve the longer, thicker eyebrows you desire. Wearing makeup overnight can be damaging to our skin and that includes eye makeup. Make sure to always carefully remove makeup before going to bed. Wearing mascara for long hours can cause your eyelashes to become dry and brittle, increasing the risk of the breaking. Use a makeup remover for the eyes to get rid of the makeup easily. 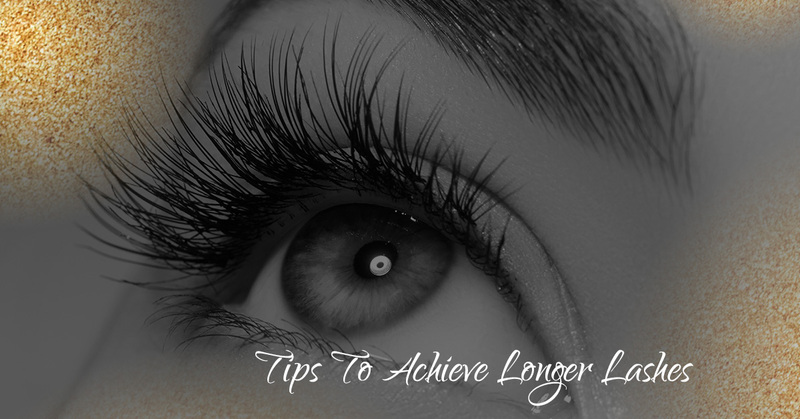 Removing makeup every night will help promote the growth of your lashes. Waterproof mascara is great when you need a mascara that will last all day without flaking or fading. However, waterproof mascaras have a tendency to dry out lashes and make removal a struggle. If you do wear waterproof mascara, be sure to remove it carefully using an effective makeup remover — scrubbing too hard can cause your eyelashes to weaken, or even worse, fall out. Eyelash serums prevent our lashes from becoming dry. They are full of vitamins and nutrients that your hair needs for growth and strength and they help moisturize lashes making them healthier. Just like the hair on your head needs conditioning, lashes need proper conditioning too and lash serums are a great way to keep your lashes healthy. Having a proper diet will not only make our body healthy but will also make our hair strong and healthy. Eyelashes need vitamins and nutrients to stay healthy and grow steadily. Include fruits and veggies to your diet to give your body and hair the vitamins and nutrients needed to promote growth and volume. Look for foods with Omega-3 fatty acids, as this is one of the best ingredients for not only making your existing lashes strong but for encouraging hair growth for new lashes. Eyelash curlers can be damaging after continuous use. When using an eyelash curler, make sure to be gentle, ensuring not to pull your lashes. When using a curler, place it at the base of your lashes. Clamp the base and lightly press for three seconds. Next, go to the middle section of your eyelashes and hold for another three seconds. For the final press, place curler at the tip of your lashes and hold for three seconds. Brushing your eyelashes will allow their natural oils to evenly distribute. This will help moisturize your lashes and will stimulate growth. Buy a lash comb or an unused mascara brush to clean them and comb them using soft, upward strokes. This habit will keep your eyelashes strong and prevent them from frequent breaking. The Elleebana Lash Lift is one of the most popular eyelash growth treatments in the eyelash industry and offers the chance to enhance the natural beauty of your eyelashes. This lash lift treatment uses silicone pads to lift the lashes from their base as opposed to traditional eyelash curling. This creates the appearance of longer and fuller lashes and reduces the chances of over-curling. If you want longer lashes, contact Nichole Lynn Esthetics. As a licensed lash lift technician, I can naturally lift your lashes, making them look longer and fuller. To learn more information about the Elleebana Lash Lift Treatment or to schedule a consultation, contact me today!